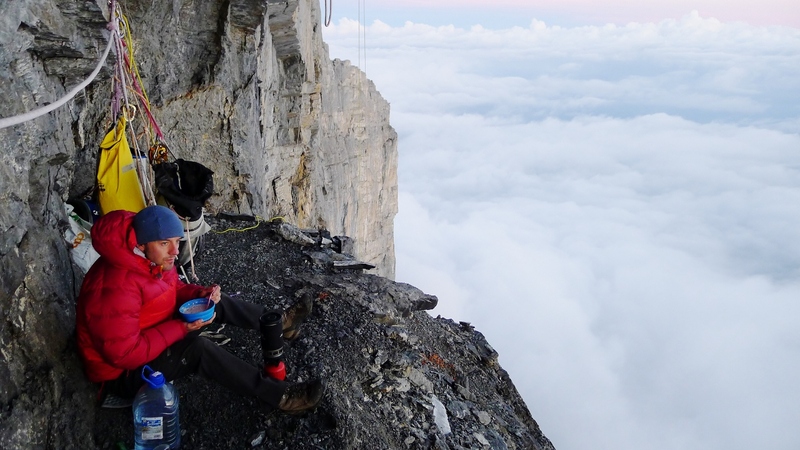 After our adventure on the Eiger, Dave and I were after a fresh objective. We had a number of routes in mind spread out across the Alps but, wimps that we are, were keen to avoid any more cold bivi’s! 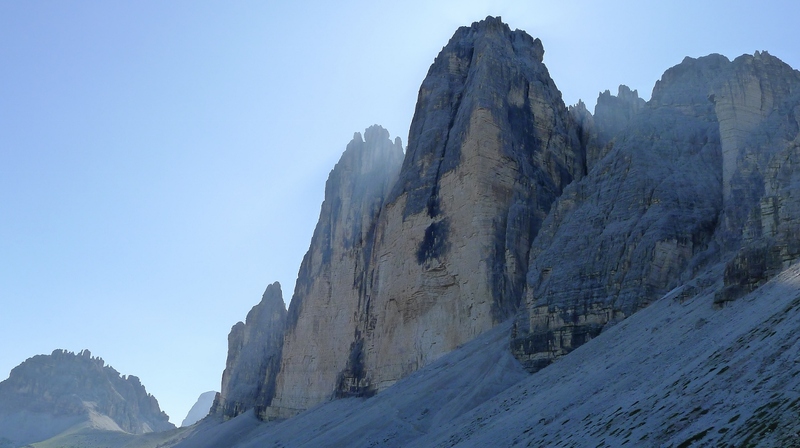 Dave mentioned Bellavista in the Dolomites, a route he’d tried a decade earlier. It seemed to be the perfect objective; easily accessible, only has a couple of difficult pitches and it’s near the best pizzeria on the planet in a place called Misurina. 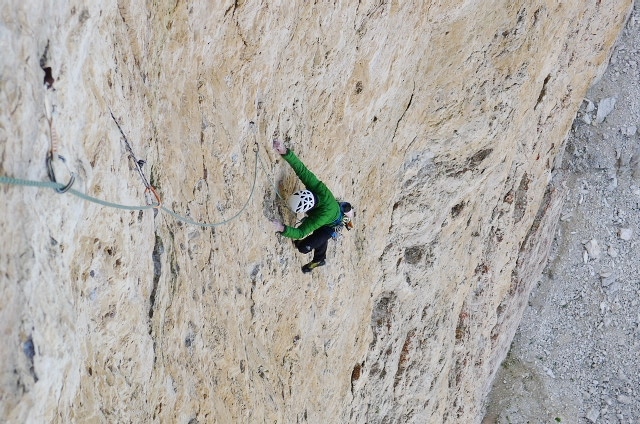 Bellavista was first climbed by Alex Huber in 2000 and free climbed a year later. 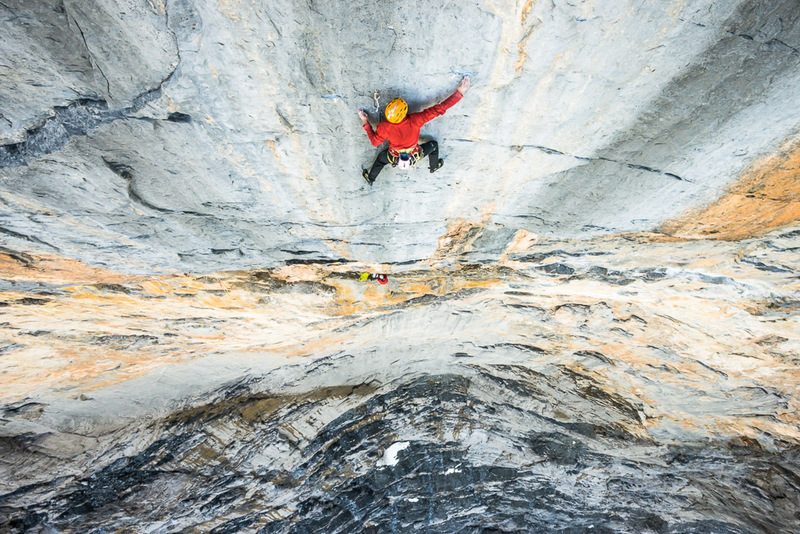 The pictures of the route are just sensational showing climbers swinging their way through the huge roof of Cima Ovest, some 150m above the ground. The route had just received an ascent by the talented American climber Sasha DiGiulian and we hoped to take advantage of some chalked holds which might speed up our process of working the route. 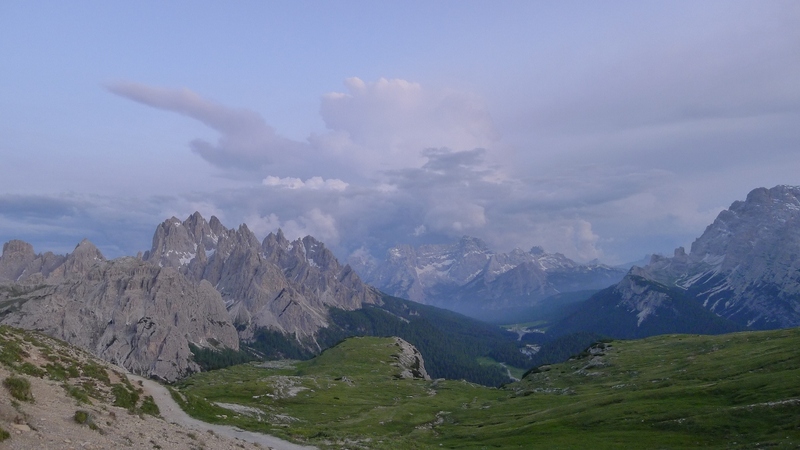 We arrived early at the car park at the end of the toll road beneath the Tre Cime. Although we were keen to make an early start it felt so cold outside that we decided to get a little more sleep. We finally got round to the base of the route at about 10am, not exactly the alpine start we’d anticipated! I shivered my way up the first pitch, a relatively bold but fortunately easy pitch and we swung leads up to the 8c crux through the roofs. Conditions were poor for this pitch. The big roofs seem to have condensation sticking to their undersides for much of the time making the holds feel like they’d been slathered in soap. Dave made steady progress up this spectacular pitch climbing from peg to peg. This pitch is so overhanging that to get back to the previous belay you have to abseil down a separate rope for 50m before jumaring about 20m upwards! As conditions were so poor I decided to forego my attempt and we descended to the base of the route. Unfortunately, just after pulling our abseil ropes down, Dave realised he’d left the car keys back up at the belay of the crux pitch. We both looked at each other in silence for a few moments, desperately trying to think of some miraculous way we could overcome this hurdle. There wasn’t. We ended up uncoiling our ropes quickly and linking the first five pitches in two to reach the keys just as it got dark. Dave jokingly said it was good endurance training for me. Plonker…! We returned a couple of days later, but as we prepared to walk into the route I noticed the long range forecast on my mobile – rain for the foreseeable future. We’d had a good trip and with no hope of a dry day for the rest of our time in the Dolomites we decided to strip the route and head home early. It was a shame not to give the route a better attempt, especially as I have no doubt that Dave would have climbed it had we had a couple more days. I’m very keen to return for Bellavista next year though, it truly is an amazing route and one well worth putting in some winter training hours for. Dave returned to ‘Bellavista’ three weeks later with Alan Cassidy. Despite horrendous, snowy, sub-zero conditions Dave repeated the route on his final day of trying – the only day when the rock was dry but the temperature was still below freezing! There must be something in that Irn Bru for results like that! Here’s a link to Dave’s blog for the low down on the ascent. The White Spider was one of the first mountaineering books I read. Written by Heinrich Harrer in 1959, it describes the trials and tribulations that led to the first ascent of the North Face of the Eiger in 1938 by Heckmair, Harrer, Kasparek and Vörg. My fascination with the face began a couple of years earlier in around 2005 when I was on a walking holiday with my parents in Switzerland. We passed through Grindelwald and I remember seeing the face, albeit briefly, before continuing on our travels. I heard some of the stories about the attempts on the North Face and in particular the tales of rock fall led me to believe that this was a mountain where success could be mostly attributed to a healthy dose of luck to avoid all the objective dangers. I started climbing a couple of years later and then alpine climbing a couple of years after that and suddenly felt a draw to return to Grindelwald in the winter to climb the 1938 route when all the rocks were frozen in place. In March this year I headed over with my friend Andy to climb the face and after a wade to the base of the wall we bivied at its base ready for an early start the following morning. Unfortunately the forecast was very wrong and a storm hit us that night burying us beneath around a metre of fresh snow! After an awful descent through chest deep snow in places I thought it might be a better option to return to the face in the summer time. 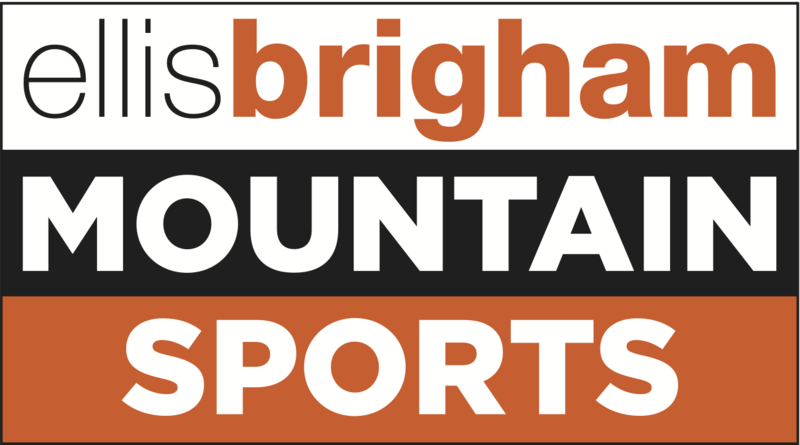 Early this year I contacted Dave Macleod to see if he would be interested in a climbing trip to the Alps. I’d never climbed with Dave before but had only heard good reports about him both as a climber and a person. Dave had never done any alpine climbing before, but I assumed that someone with the fairly outrageous all round abilities that he possesses, should be able to walk around on a glacier alright! Dave arrived out in the Alps just over a week ago. We had a few ideas up our sleeves but the one that inspired us most was undoubtedly a route called ‘Paciencia’ on the North Face of the Eiger. ‘Paciencia’ was first climbed in 2003 by Ueli Steck and Stephan Siegrist and later freed in 2008 by Ueli Steck. 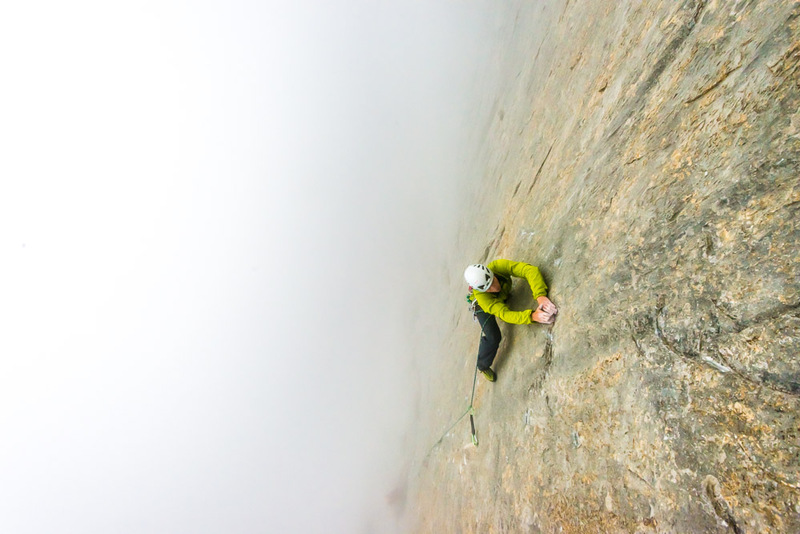 David Lama made a very impressive two day repeat of the route in 2011 describing it as “by far the most difficult rock route I have climbed to this date in the Alps”: this was after his repeats of ‘Bellavista’ in the Dolomites and ‘Voie Petit’ in the Alps. We arrived in Grindelwald just after three days of bad weather which left the face streaming with water. Judging by the name of the route which translates as patience, our hopes of finding the route dry and the weather good were not particularly high. After a day of waiting for the face to dry we caught the Jungfraujoch up to Kleine Scheidegg hoping that we could get dropped off at the ‘Stollenloch’; the window that opens onto the face, thus avoiding an arduous slog up to the base of the route. Unfortunately we were out of luck and had to make two journeys up the scramble to reach the Rote Fluh as we were laden with so much kit. We gave the first few pitches a recce to see if the route would be achievable for us and descended, very surreally, by the train inside the mountain! Having managed all the moves on the first few tricky pitches we were encouraged enough to return for a multi day ascent of the face. We were joined for the first day and a half by the talented alpine photographer Alexander Buisse who took some really stunning images of us climbing on the Rote Fluh. Our upward progress for the first couple of days was really positive, all pitches were climbed first red-point, including the sustained and amazing crux pitch which climbs through the apex of the main roof of the Rote Fluh. We reached the bivi spot beneath the Czech Pillar feeling tired but enthusiastic about our progress. Unfortunately the following morning we both felt pretty wasted. The first 7c pitch went without too much of a problem landing us at a pitch that David Lama upgraded to 7c+ on his ascent. The holds were really difficult to find on this pitch and after the crux lower section the climbing is really quite sustained. Dave took over the lead of this pitch as I was totally knackered but I still just about managed to fight my way up when I seconded it. We fixed our ropes back down to the bivi to help speed things up for the following morning. Strangely on our final day of the route we felt much more recovered and made steady progress upwards – I even made an unlikely flash of the final 7c pitch through a determination not to be on the face any longer! 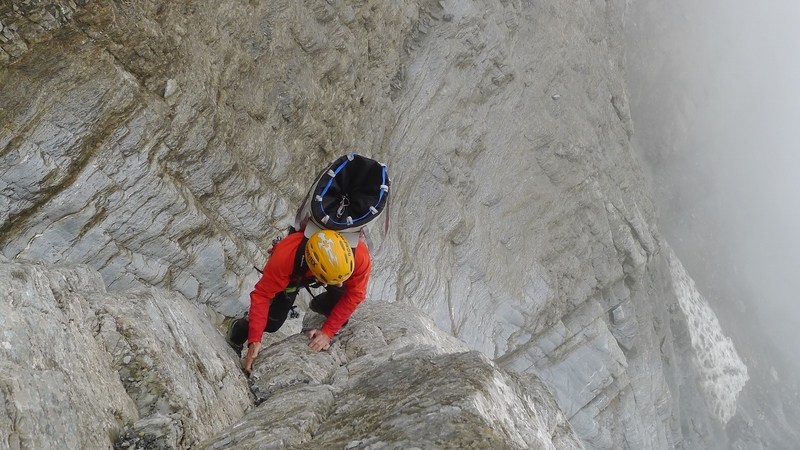 The final few pitches, although much easier, were quite loose and time consuming with the haul bag regularly getting caught but we eventually reached the west flank of the Eiger to pull over into our first sunlight for three days. We were both elated to have finished the route, both of us having climbed it entirely free alternating leads as we went. Unfortunately we missed the final train down to Grindelwald, so having just descended the Eiger, we were left with a long descent back to the valley. ‘Paciencia’ is an amazing alpine/big wall challenge and should be high on the ticklist of any climber with the capability to climb it. Thanks to Dave for sharing a great adventure with me!